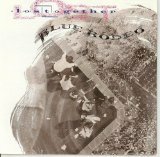 Lost Together is ranked 4th best out of 16 albums by Blue Rodeo on BestEverAlbums.com. The best album by Blue Rodeo is Five Days In July which is ranked number 3368 in the list of all-time albums with a total rank score of 558. Members who like this album also like: All Eyez On Me by 2Pac, Grave Dancers Union by Soul Asylum and Nevermind by Nirvana. Related links: top tracks by Blue Rodeotop tracks of the 1990s, top tracks of 1992. Showing latest 5 ratings for this album. | Show all 13 ratings for this album. ...and Lost Together has become a staple of high school slow dances and first dances at weddings. These guys know how to write about love, losing love, and getting high while reflecting on life. Such ability to pull so much emotion out every facet of a song - a plaintive voice, poignant lyrics, or a soul-tearing guitar riff. Love it! Nobody outside of Canada has heard of this band who has influenced Wilco, among many others. Too bad for all of you. They have not one but two superb songwriters and Jim Cuddy has one of the purest voices you'll hear. This is an opus just chock full of beautiful tunes and rich alt-country rockers.